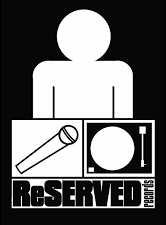 Wordz has been a fixture of the Chicago underground hip hop scene for several years now. To make a long story short, hip hop chose wordz in 1989 and has been an outlet to let his voice be heard and give a unique expression of the divine ever since. Wordz ventured out to teach as a solo artist in 2001. Before that, he collaborated with a collective called Basement Crew putting out “basement” bootleg tapes for fun and small pockets of fans on Chicago’s northside. Early on, Wordz was heavily influenced by early hip hop giants like Ice-T, the gangster images of NWA and the political sound off of Public Enemy. Wordz had always been on a spiritual journey and in 1995 ran head first into his experience with the Almighty Creator God that changed his life and his music. He had grown to search for more thoughtful messages in hip hop through artists like Nas, Mos Def, Tribe Called Quest, Krs-one and of course his spiritual influences of Sup, Gospel Gangstas and Dynamic Twins. Today these people have helped Wordz’s style to take shape adding elements of boldness and thought provoking rhymes that are laced with humor. His music looks with an amused eye at the hypocrisy of the world contrasting the way things are and what they claim to be. He exposes contradictions, starting about himself, then about beats rhymes and life. In his song “My Turn to Shine” off the debut LP “You Haven’t Heard Me Yet” he hollers sarcastically about how fresh other crews claim to be, but haven’t really established themselves yet. “You think your dope cause your crews names on your clothes / that’s the reason why your stuck your name is overexposed / or overated / my hearts gold while your heart pumps gold-plated / …im married to the rhythm you other mc’s just dated”. Wordz gets his stage credibility by doing shows at youth rallies, schools, bus stops, youth groups and various nightlife venues in Chicago’s underground scene with the goal to educate those in and out the hip hop community about their true purpose in life. He has worked with Chicago’s legendary Nacrobats, and laced production by one of Chicago’s up and coming producers Overflo. He has worked with national Christian artists as well such as LA’s Tunnel Rats, KJ52, Mars ILL and Deepspace 5.